So our rubbish is usual lying collected on a Wednesday at about 8:20 just as we’re leaving for work. 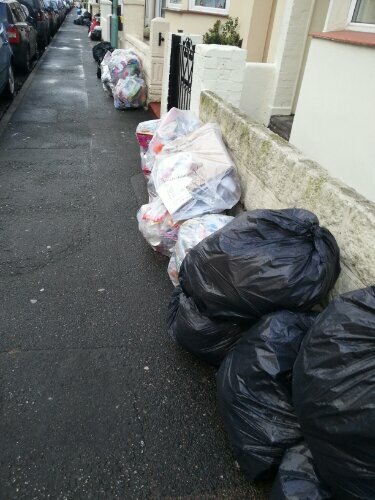 However with it being Christmas I checked the council website and it said that the rubbish would be collected today. Logic world dictate that the council would do the same round just on a different day – wouldn’t it? I thought it would so I got up at 7am to sort out the rubbish and recycling. However it would seem I was wrong as it’s now gone 2pm and it’s all still there! Having stripped all the meat from the turkey there was a lot more than I was expecting so I managed to talk Sarah into letting me turn some of it into turkey curry which I then froze for later.